Volkswagen is updating its Golf, the most successful model in the company’s history stated in website http://autoxpedia.com. Revealed in Europe, the 2018 VW Golf gets new engines and driver-assistance systems, as well as new infotainment systems along with larger touchscreens and one with gesture control. The refresh brings some slight alterations to the Golf’s exterior. All Golf models now feature LED taillights, with LED headlights available as an opt. The front fascia features redesigned air intakes, and radiator grille’s lower chrome strip now extends through the daytime running lights. This SportWagen receives a new rear bumper, too. Base models will utilize a 6.5-inch touchscreen, while upgraded models will make use of a new 8.0-inch screen. But real attention-grabber is the range-topping system with the 9.2-inch display. In addition to using voice commands, users will also be able to hover their hands over and around the screen to activate haptic or conventional virtual buttons. Volkswagen has thrown out traditional switches, including even the volume knob on these models. The European Golf’s standard motor is now a 1.5-liter I4, good for 148hp. A slightly less powerful (but more efficient) engine is in the cards, as well. 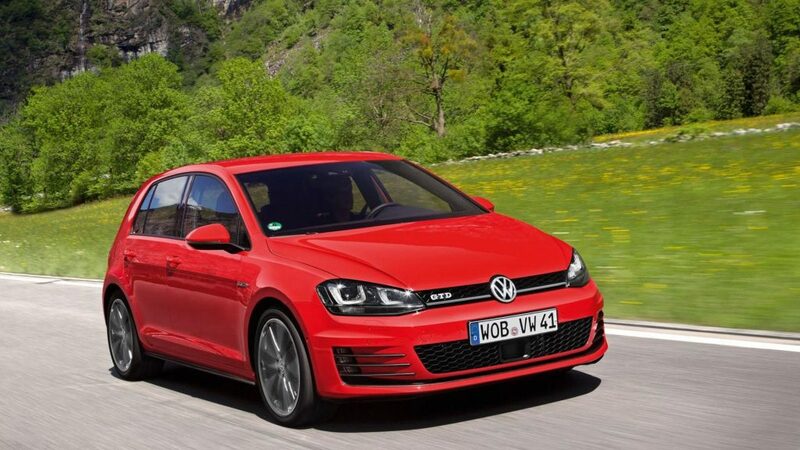 Option for the GTI hot hatch and output rises to 227hp (242 with the GTI Performance model). A 7-speed dual-clutch transmission replaces old six-speed unit. In the US, it’s unclear if we’ll keep soldiering on with the current 1.8-liter engine, which puts out 170hp. A drop in power to 148 would be kind of a bummer, speaking as the owner of a new 2016 Golf. Volkswagen also expanded its available suite of active and passive safety systems. Traffic Jam Assist will semi-autonomously navigate slow traffic using the adaptive cruise control and lane keep assist. If a driver goes the totally hands off, against the system’s wishes, it’ll gradually increase warnings until it brakes the car and turns on the hazards.